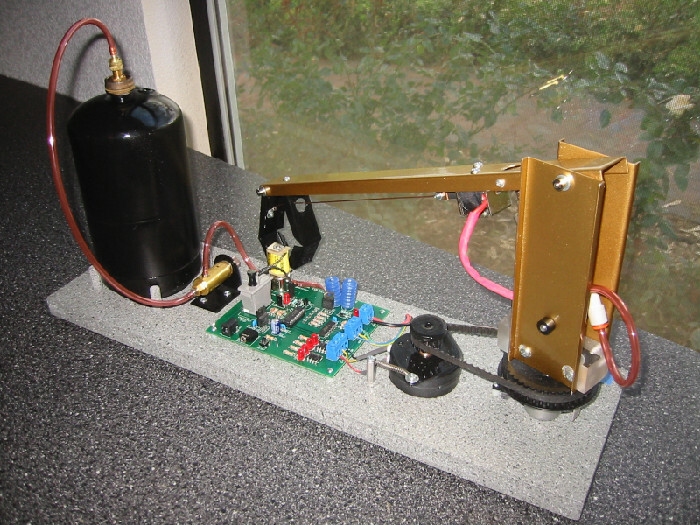 A MECH-44 student's robot arm including some customization. Students are encouraged to customize their robot arm if they wish to. 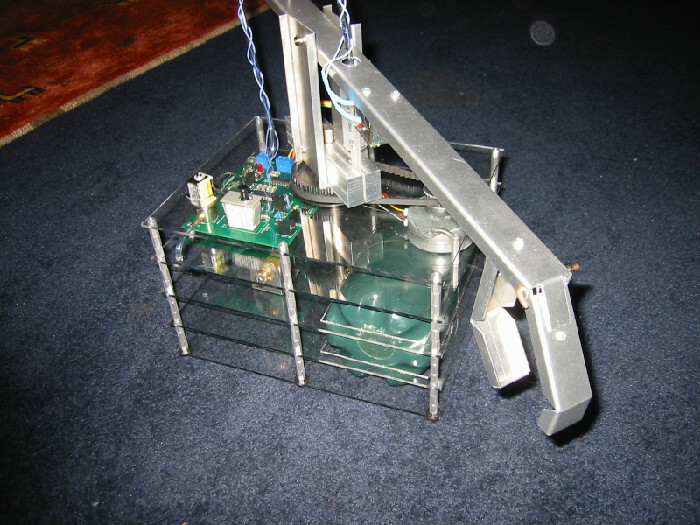 A modified MECH-44 robot arm, using lexan. 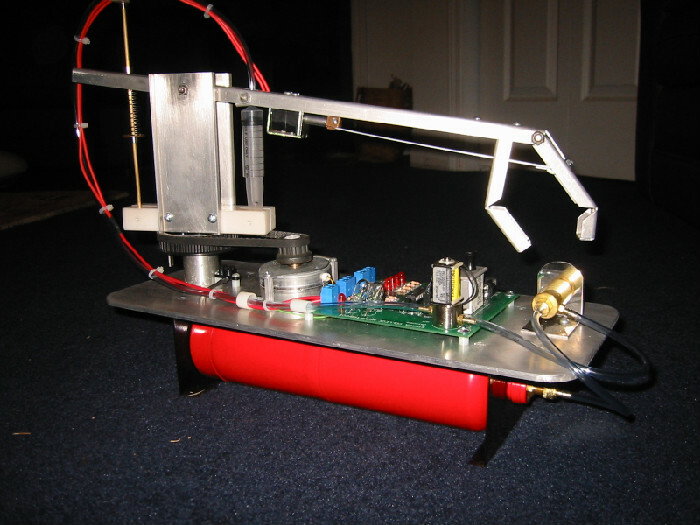 A modified MECH-44 robot arm, with an extensive tank housing. 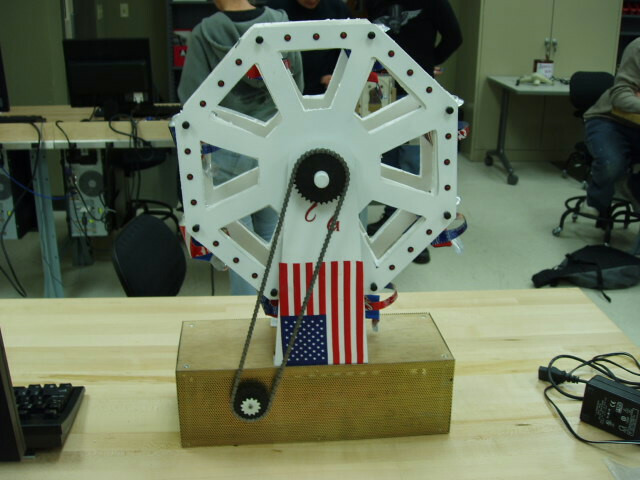 In MECH-90, every student designs and manufactures a mechatronics project of their own choosing. 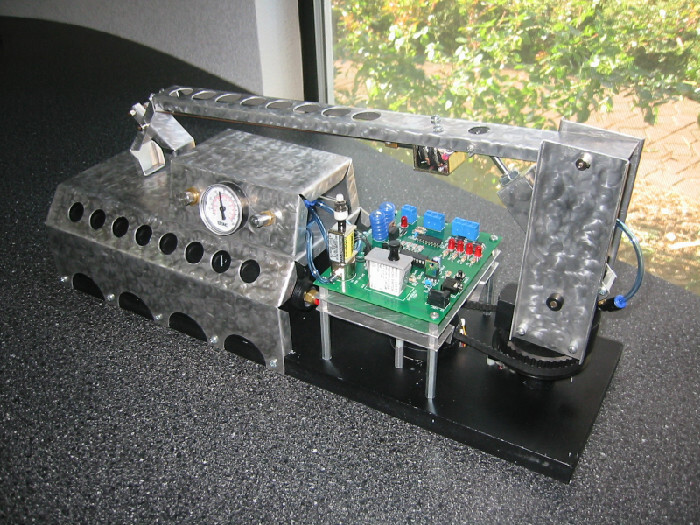 This one is a Ferris wheel with animated lights controlled by the picaxe microcontroller. Another MECH-90 project. 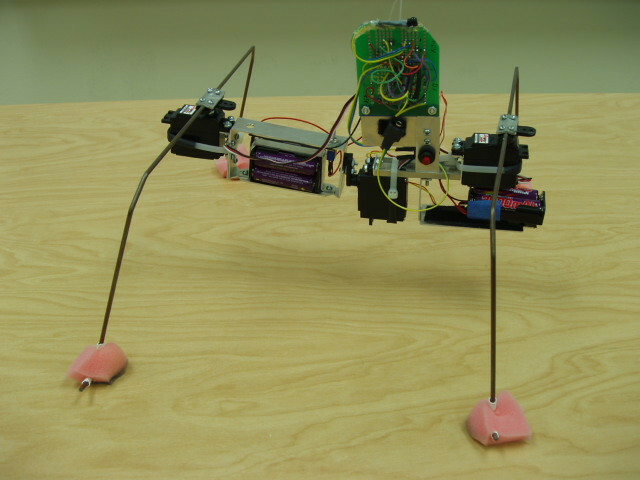 A four legged walking robot using a microcontroller and three servo motors.